Welcome. 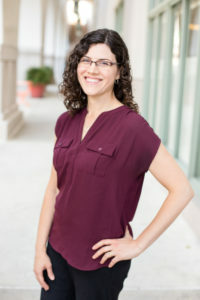 I’m Christina Sainato, an International Board Certified Lactation Consultant, Registered Dietitian, and mother of two children. Feeding kids isn’t easy! I know, because I’ve struggled myself with breastfeeding complications, and we’ve certainly had our own mealtime challenges. My personal experiences have given me a deep compassion and understanding for my clients. I have worked with hundreds of families over the years to help mothers breastfeed successfully, to solve nutritional challenges, and to make family mealtime pleasant and stress-free. I will take the time to listen to your concerns, needs and goals. My approach is gentle, and I will never pressure you to feed your child in a way that doesn’t feel right to you. I apply evidence-based information and current research to help find real-life solutions tailored to your needs. A bit about my background: I earned a Bachelor of Science in Dietetics in 2002, certified as a Registered Dietitian in 2005, earned a Master of Public Health from UCLA in 2008, and finally achieved the credential of International Board Certified Lactation Consultant in 2011. Prior to opening my full-time private practice, I accumulated over 15 years of full-time experience in maternal/child nutrition and lactation. I was a clinical dietitian at Huntington Hospital in pediatrics, PICU, NICU, and outpatient nutrition counseling. Working at the Women, Infants, and Children (WIC) Program for over a decade, I also served as a Lactation Consultant, Nutritionist, and agency Breastfeeding Coordinator. Opening this practice was a long-time dream of mine. In 2012, I opened my own part-time lactation business while still working full-time at WIC. I love how private practice has allowed me to meet families where they are (literally! ), to devote my full attention to their needs, to become part of their journey. In the summer of 2018, I took the leap into full-time self-employment when I created Nourishing Start LLC, expanding beyond lactation to include nutrition services as well.